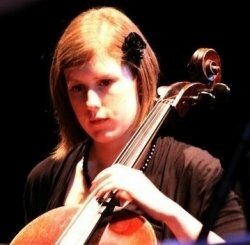 Rachel offers a discount of 50% on their first / introductory lesson! I am an experienced teacher and performer, previously graduating from Cardiff University and the Royal Welsh College of Music and Drama with cello as my principal study. I also have a keen interest in music theory, piano and double bass. I have been teaching a wide variety of ages and abilities since 2009 and adapt my teaching style to suit my pupils. I work towards ABRSM or Trinity exams with my students if this is something they are interested in.